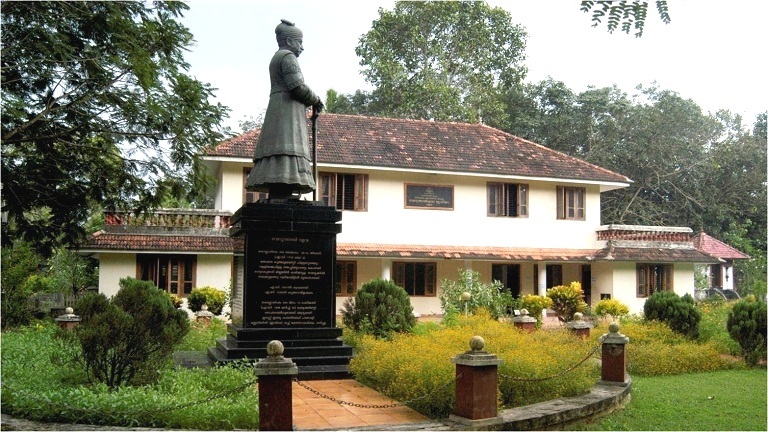 Veluthampi Dalawa Memorial museum is a museum dedicated to the renowned freedom fighter of Travancore,Veluthampi Dalawa at Mannadi in Pathanamthitta. Started functioning from 14 February 2010, Veluthampi was the Dalawa or Prime Minister of the Indian kingdom of Travancore and is best known as one of the earliest individuals to rebel against the British’s supremacy in India. The historical museum set up here by the archaeological department has an open air gallery which includes portraits of all the Travancore rulers from Marthanda Varma to Sree Chithra Thirunal. The museum also has numerous artifacts like stone statue of Buddha, ancient agriculture utensils, canons, ancient war equipments and so on. A picture gallery depicting the life of Veluthampi Dalawa and a numismatics gallery are also there. The old statue of Veluthampi Dalawa in front to the museum is the major attraction here.